Whether you live back East, up North, down South, or out West—I hope you’ll get something out of my post today. 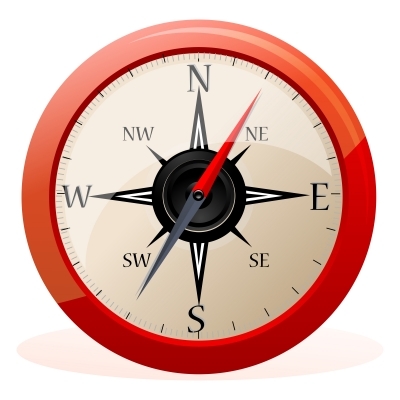 My topic today is compass points (north, east, south, west) and when to capitalize them, with a bonus section on hyphenation and abbreviation. Do not capitalize these terms if they simply show location or direction. Go south on Canada Way. But (of course) capitalize them if they are part of a proper name. Also capitalize them if they refer to definite regions—even ones that don’t appear on a map. Thousands of fish are dying in the Midwest as the hot, dry summer dries up rivers and lakes. The Far North represents 42% of the province of Ontario. As for northern/southern etc., do not capitalize these before a place name unless they are part of a proper name. Hurricane Isaac is expected to move over southern Missouri [a general region] Friday night. The first European to visit Western Australia [name of a province] was the Dutch explorer Dirk Hartog. The surge was unusually bad in LaPlace, about 25 miles northwest of New Orleans. Isaac was moving north-northwest at 12 mph. These abbreviations are used even if you quote an address in a text.